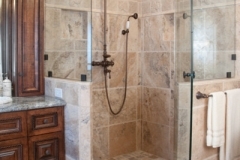 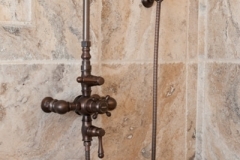 This La Costa master bathroom was a large space with an outdated floor plan. 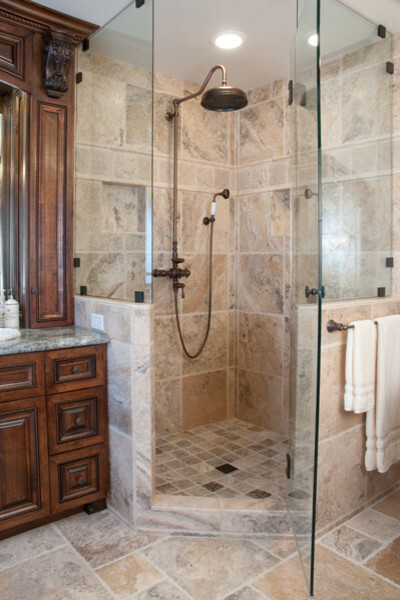 The client wanted a different configuration starting with the shower area: it was enlarged with two pony walls which were installed to create a sense of openness as well as provide more space to enlarge the vanity. 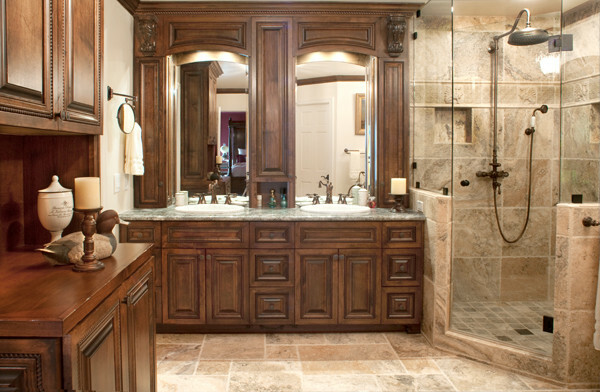 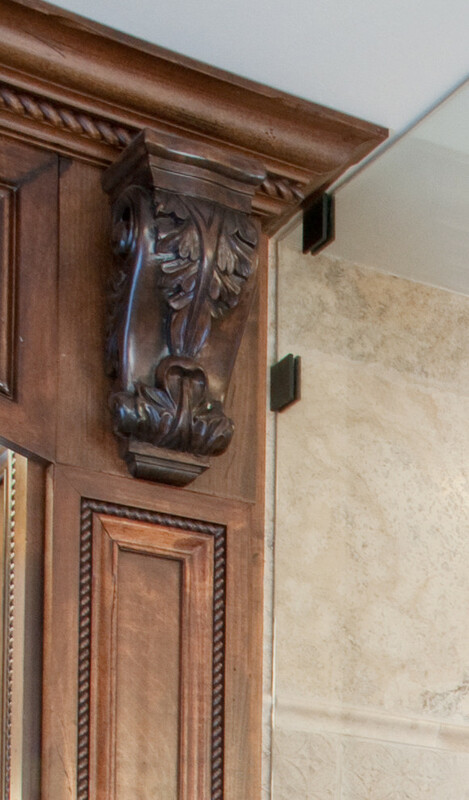 The vanity and vanity towers were custom built and added an immense amount of storage. 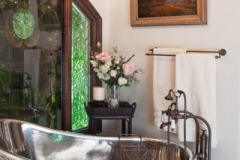 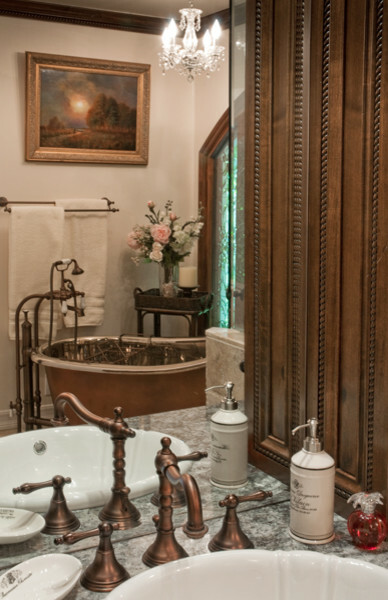 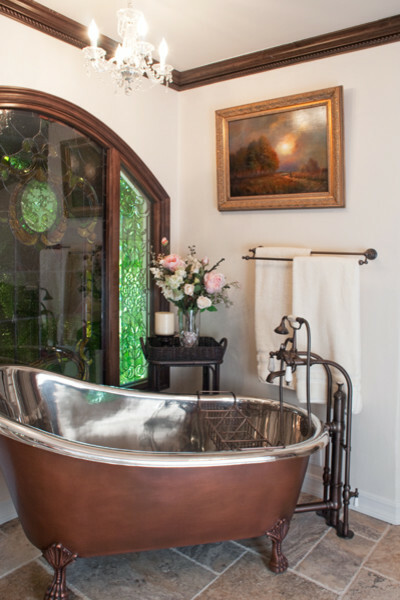 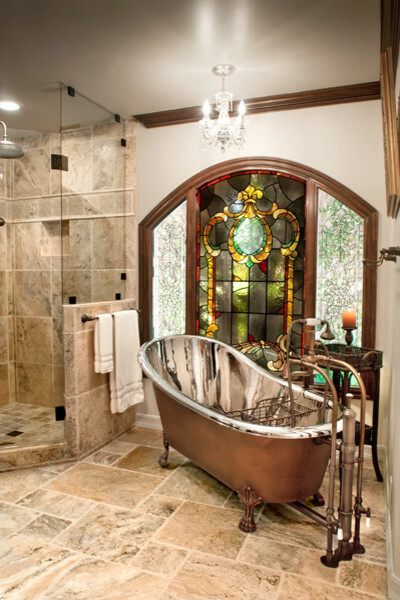 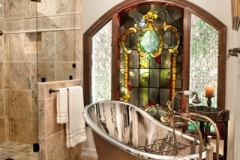 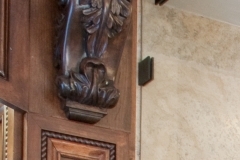 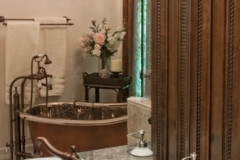 CairnsCraft designed the bathroom around a large stained glass piece of artwork as the focal point: It replaced a small standard window on the West wall and was flanked by two more beveled glass windows that reflected the same design of the center panel. 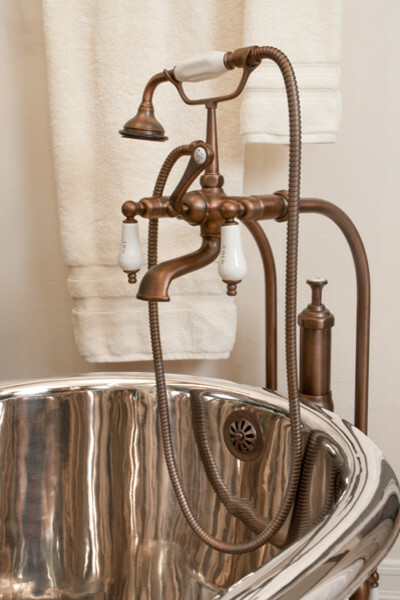 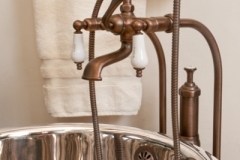 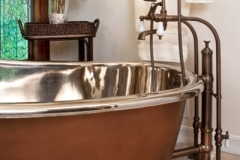 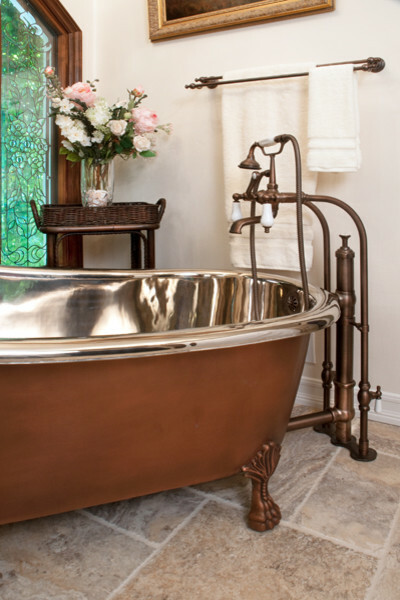 In addition, a large outdated tub was replaced with a copper claw-foot tub: this free-standing tub added additional walking space around it. 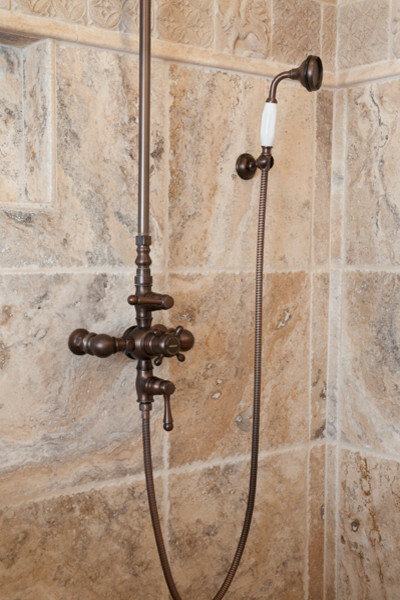 The timeless Versailles tile pattern used a combination of different sizes that is elegant and graceful and pleasing to the eyes.